The memory of a cherished father and respected Vice-Chancellor lives on through one family and their 40-year history with the University of Adelaide. At the time of his death in 1986, aged 57, Professor Donald Stranks AO was about to embark on his third term as Vice-Chancellor, having served in the role since 1977. His sons, Dr Geoffrey Stranks and Associate Professor Stephen Stranks, were both studying Medicine at the University while their father was in office and have gone on to successful careers as doctors and medical educators. Their children have also launched or are orbiting successful careers in Medicine, Science and Psychology and there is even a Rhodes Scholar amongst them for good measure. "Dad gave us a real conviction that a good education was very important - there was an unsaid, unwritten expectation that you work hard and do well," says Steve. And each generation of Stranks has done this and more, from a common base of the University of Adelaide. In his nine years in office as Vice-Chancellor, Donald was acknowledged as a supportive and insightful leader; his significant contributions included establishing the University of Adelaide Foundation and revolutionising the academic administration of the University during a period of increased funding constraints. Often referred to as the 'student's Vice-Chancellor', Professor Stranks' involvement with students through the University of Adelaide Sports Association was extensive, including a very active role as Patron of the Football Club. In an oration delivered at a service in Donald's honour, former Deputy Chancellor Dr Harry Medlin remarked, "All of his actions were those of a person deeply committed to the doctrine of free and equal access to education for all." Eldest son Geoff himself discovered a passion for adult education while working as a GP. He has previously combined his commitment to general practice with work with the GP training program at the Flinders Medical Centre. He now teaches medical students and GP trainees on placement at his clinic and also provides locum relief for country GPs through the Rural Doctors Workforce Agency. 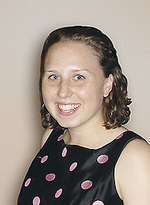 Geoff and his wife Gerry, a paediatric physiotherapist, have three children, all of whom have excelled in their studies at the University of Adelaide. 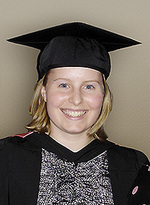 Elizabeth, 24 graduated with First Class Honours in Psychology in 2011 and is now enrolled in a Doctorate in Neuropsychology at La Trobe University in Melbourne. 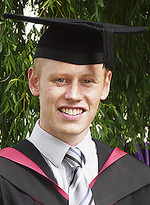 29-year-old Ben commenced a Science/Arts double degree at Adelaide before going on exchange to the University of Birmingham. He went on to study postgraduate medicine at the University of Warwick and is now working as a doctor and GP trainee prior to returning to Australia. 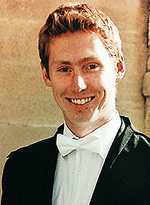 This year, 27-year-old Sam, the University's 101st Rhodes Scholar, finished his PhD in Condensed Matter Physics at the University of Oxford. He is continuing his work as a Post-Doctoral Researcher and Junior Research Fellow at Worcester College for another 18 months while his wife Amanda, also a University of Adelaide graduate, is doing her PhD in Clinical Medicine at Oxford. "I am very proud of their commitment to finding areas of study and work for which they have a passion, as I think this sustains people over their career, whatever that might be," says Geoff. His brother Steve followed Geoff's lead by also studying Medicine and is now the Director of Southern Adelaide Diabetes and Endocrine Services and Associate Professor at Flinders University of South Australia. His clinical role involves the delivery of services in Diabetes, Endocrinology and Metabolic Bone Disease at Flinders Medical Centre, Repatriation General Hospital and Noarlunga Hospital and public outreach services in community settings in the region. Steve and wife Louise - a GP at University Health and a tutor in clinical skills and case-based learning at the University's Medical School - may not have directly pushed their children into a career in medicine, but the influence of their own careers was obviously strong. 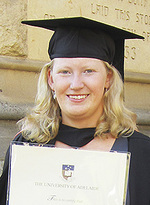 All three children enrolled in a Bachelor of Medicine at the University of Adelaide - Jessica, 26 graduated in 2010 and has gone on to do specialist training, moving towards a similar field as her father, while Katrina 23, and Lachlan 21, are both in their fourth year of studies. "They grew up in an environment where it was something we were comfortable with and we enjoyed what we did," says Steve. And for each generation of Stranks, the comfort they have found in the academic environment is more than evident. 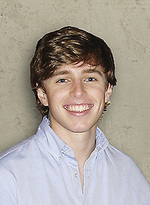 Geoff is struck by the varied and eye-opening pathways that the University can provide and believes his father would have been very happy with the direction the University has taken. "I know that Don would be immensely pleased to see the University of Adelaide continue to provide and expand both undergraduate and postgraduate course options," says Geoff. "He would also have been very proud of all of his grandchildren's achievements and their take-up of the opportunities provided by his alma mater." 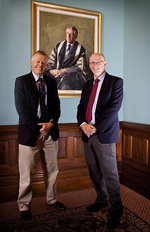 Dr Geoffrey Stranks and Associate Professor Stephen Stranks in front on their father's portrait.